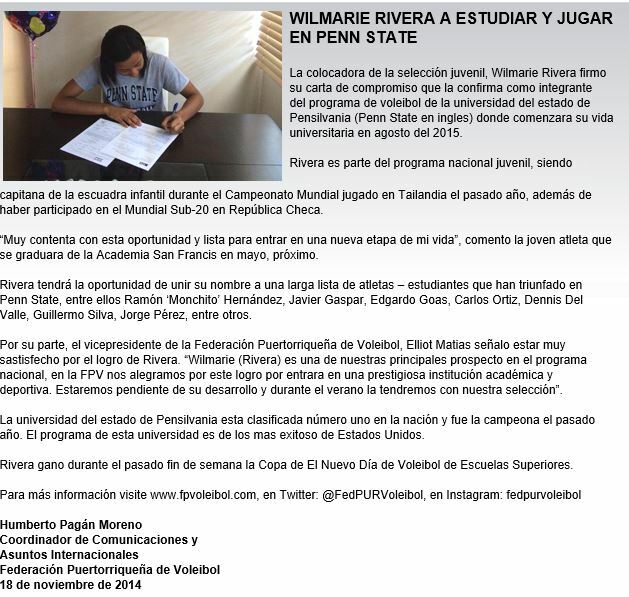 This page lists the players we are aware of who have publicly announced their verbal commitment (or have signed letters of intent) to join the Penn State Women’s Volleyball team for the 2015 season. The players are listed alphabetically. The listed positions are from published reports, and do not necessarily reflect the positions they will play in college. The table is sortable by clicking on the arrows at the top of each column. Following the Penn State tournament, Tori was shown the campus, all cool stuff and then asked her thoughts on committing to Penn State over pretty much everywhere else. She knew the answer, as it was her dream to play for Russ Rose since grade 6. 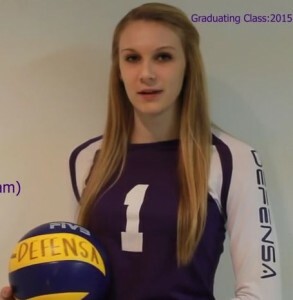 Last year, Tori and her Defensa teammate Sarah Williams (both under-15 players at the time) were selected for Ontario’s under-16 beach volleyball team. A native of Bellville, Texas, Holcomb comes to Morgantown after playing for Susan Brewer at Bellville High School and Courtney Head at Houston Juniors 18 Elite. 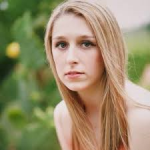 In 2013, Holcomb, a libero/defensive specialist, was a TCGA First Team All-State honoree, an AAA State All-Tournament Team member, first team all-state honoree, first team all-district and a MaxPreps Second Team All-American. She was named the Texas Sports Writers Association AAA First Team libero and was named to the Under Armor All-American Watch List. Holcomb is a two-time district defensive MVP and a three-time academic all-district honoree. She boasts 2,535 career digs through three seasons and 182 career aces. The daughter of Thomas and Stacy, Holcomb intends to major in business. At the time, Jill Kramer was the head coach of the Mountaineers, but just six weeks later, on December 29, 2014, WVU announced that Kramer had resigned. MORGANTOWN, W.Va. – West Virginia University volleyball coach Jill Kramer has resigned to accept a position as Director of Volleyball at TCU, her alma mater, as announced by TCU on Monday. Kramer recently completed her fifth season with the Mountaineers and led the squad in its transition from the Big East to the Big 12. She guided WVU to a 66-83 mark during her tenure, including its first-ever Big 12 win with a 3-1 triumph over Kansas State on September 27, 2013. Under Kramer’s direction, West Virginia posted its first 20-win season since 1991, going 20-13 in 2013 and finishing 118 spots higher than 2012 with a final RPI of 74. The Mountaineers set several new marks in 2014, including a program record for Big 12 wins with six after a five-set upset of Kansas State in the season finale. WVU finished the year with an RPI of 70 and, for the first time in program history, had a pair of AVCA All-America Honorable Mentions in Nikki Attea and Jordan Anderson. “As people like Coach Huggins and Oliver Luck can attest to, having the opportunity to give back to your alma mater is one that goes unmatched,” said Kramer. “The Director of Volleyball position overseeing both Indoor and Sand Volleyball is one I just couldn’t pass up. 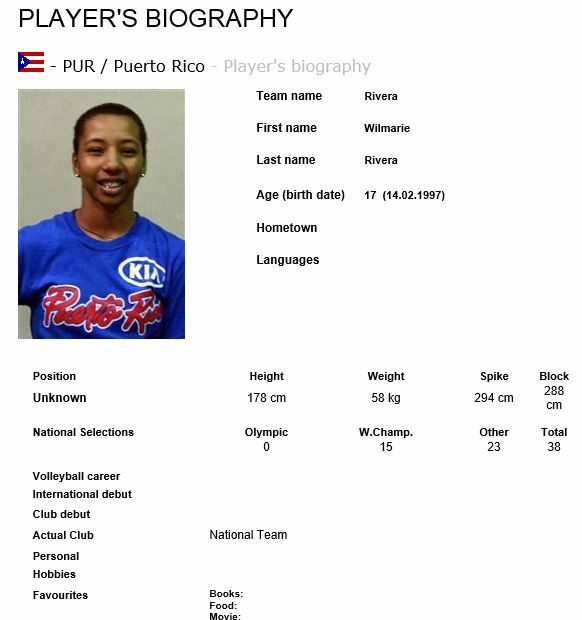 Jelena lists herself at 6’3 and PSU lists her at 6’2. I’m going out on a limb and saying she is not done growing yet and will end up at 6’4ish. The addition of a nice size southpaw to the Nittany Lion program is a long desired prize. She has a high contact point and seems equally at ease cranking line as well as hitting deep cross court. 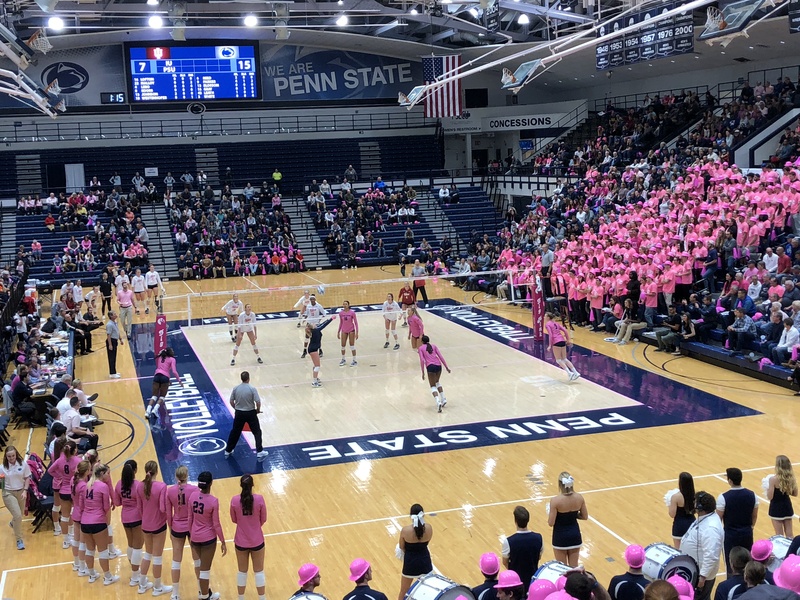 I like that she attacks comfortably from behind the 3 meter line, which would be a huge plus for Penn State once they lose Megan Courtney to graduation. Having a D ball lefty can be devastating. I would say the speed of the game will be the greatest transition that she will have to adjust to, but the girl seems really excited and eager for the new challenge and I’m thrilled that she will be in Blue and White. She has a lot of the tools Penn State is looking for. Jelena has had great success training and playing with teams in the Serbian National program, including playing on a European Championship team and earning a few personal accolades herself. Her extensive international experience should be a welcome addition to the Penn State program. 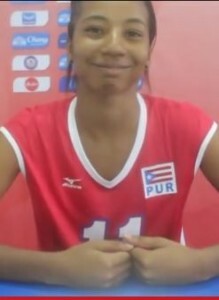 We’re told that her English is very good and that she is excited to come and play in the states for Penn State. Belgrade, Serbia, December 12, 2014 – The Serbia women’s junior team can add another list of achievements from 2014 to their names after picking up the Serbia Olympic Committee Best Young Team of 2014 on Tuesday. The 2014 European Champions were represented by Jelena Novakovic, Bojan Milenkovic, Katarina Marinkovic, Sara Vucicevic and Aleksandra Brdjović. Tijana Bošković, Aleksandra Ćirović, Sara Lozo, Maja Aleksic, Milena Dimic, Jovana Kocic and Katarina Lazović were all absent as they were all playing in CEV Champions League fixtures. The ceremony took place at the National Assembly in Belgrade with first and second coaches Marijana Boričić and Milan Gršić and team manager Dragan Todorovic also in attendance.